Our listings feature the most exciting kid-friendly attractions in the Niagara Region. Watch for our orange button to read real kid-tested reviews by Niagara Families. We’ve got everything covered for parents visiting Niagara with kids. Are we missing listings for your attraction? Send them to us here. If you’re visiting Niagara Falls and want to experience our very own Wonder of the World, the Niagara Parks website is your link to all of the wild, natural beauty the falls has to offer. Experience the incredible power and beauty of Niagara Falls at Ontario’s Niagara Parks. Get as close as you can to the thundering water at Journey Behind the Falls and White Water Walk, then dine with a panoramic view at Elements on the Falls. Explore the Butterfly Conservatory and the Botanical Gardens or play Whirlpool Golf course in the fabulous setting beside the Niagara Glen. Enjoy history, nature, gardens and so much more at Niagara Parks. Visit the Niagara Paks website here. Located in the heart of the Niagara Falls hotel, dining and entertainment district, the Skylon Tower is the most famous man-made landmark Falls. Situated just steps from the Falls and across the Fallsview Casino, the Skylon Tower offers visitors the very best in Niagara Falls attractions, Niagara Falls dining as well as entertainment and shopping. The Ride-to-the-Top and Indoor/Outdoor Observation Deck is a favourite attraction in the region. Glide smoothly to the top aboard the exterior glass-enclosed “Yellow Bug Elevators” in just 52 seconds where you will enjoy spectacular views of the Falls, the Great Gorge, Niagara wine district and the city skylines of Buffalo, New York and Toronto. The Skylon Tower offers 2 great levels of fine dining – both 775 feet above the Falls! Choose from the world-famous Revolving Dining Room Restaurant and savour award-winning continental cuisine or select our family-affordable Summit Suite Buffet Dining Room restaurant. The Skylon Tower is Niagara Falls’ best dining value with Early Dinner specials. As an added bonus, admission to the Ride-to-the-Top and Observation Decks attractions are always FREE when dining! There’s tons of fun things to do in Niagara Falls for the whole family when you visit the Skylon Tower. Their 3D/4D Falls Movie “Legends of Niagara Falls” and their Family Fun Centre promises great entertainment for all ages. The Battle of the Titans dinosaur exhibit is the newest addition the the Skylon Tower attraction line up that you don’t want to miss. The Main Concourse boasts a variety of shopping activities and quick service restaurants too. Visit the Skylon Tower website for directions, discounted tickets, and details on everything this must-see Niagara Falls attraction has to offer. 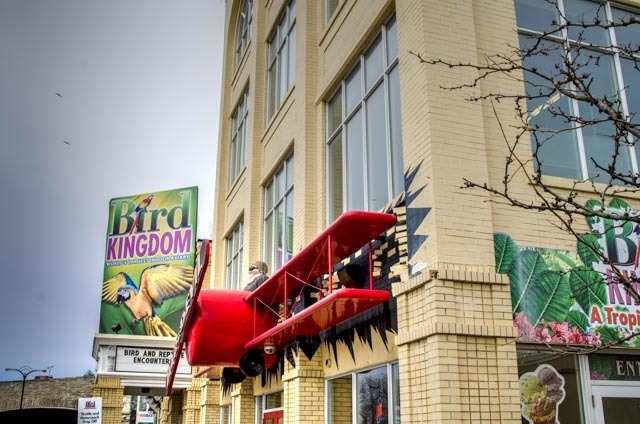 Bird Kingdom is a world-class attraction located a 5-minute walk from a world wonder, Niagara Falls. Imagine a journey in search of the legendary Lost Kingdom. Along the way encounter exotic birds, animals and reptiles. An adventure that is fun for all ages! The major tourist promenade in Niagara Falls, Clifton Hill is loaded with fun options for families. Visit the Clifton Hill website for a huge offering of attractions and accommodations on Clifton Hill including bowling, mini golf, the Skywheel, arcades, wax museums and more. 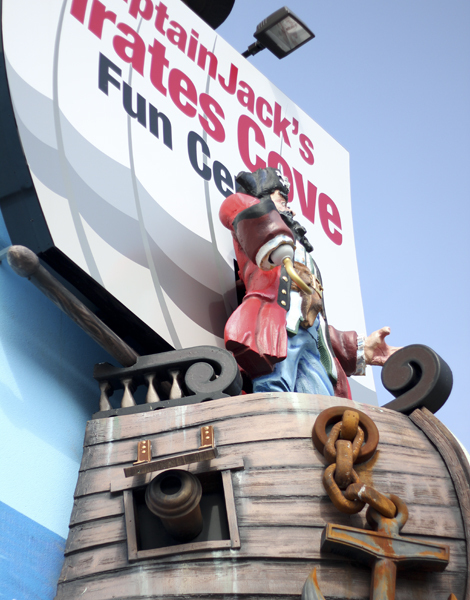 Niagara Fall’s largest indoor amusement centre, Pirate’s Cove runs on pure energy! At street level Great Canadian Midway on Clifton Hill seems like an all-ages gaming wonderland with dazzling lights, exciting sounds and row upon row of arcade goodness. Once inside, the 70,000 square foot midway is everything it promises to be. If your kids like a good visit to the arcade, and you don’t mind burning through your entertainment budget on video games, Great Canadian Midway is a must-do on your trip to Niagara Falls. Soar 175 feet above Niagara Falls for the most spectacular view you will ever experience. Climate controlled gondolas provide year round sightseeing comfort, day and night. From every corner of the globe, Robert Ripley brought home the strange, the odd and the unbelievable. View unusual customs, hobbies and artifacts from all over the world. See the history of the daredevils of Niagara Falls and participate in Interactive displays throughout your journey through Ripley’s Believe It or Not! Safari Niagara, a 150-acre, privately-owned and operated nature park, is home to more than 750 animals of native and exotic mammals, reptiles and birds. Visitors of all ages and abilities can experience the park’s inhabitants on their own or through: free, educational guided walking tours an educational, narrated tram ride/tour interactive, educational demonstrations including birds of prey and threatened species presentations petting farm yard catch-and-release fishing In addition, visitors can enjoy spending quality time with their families and friends at Safari Niagara by taking part in many activities including ropes course*, bungee*, Safari Rides*, paddle boating, kite-flying and playing at the large playgrounds, sandbox and animal-themed splash pad. The FirstOntario Performing Arts Centre is a 95,000-square-foot (8,800 m2) cultural complex located in downtown St. Catharines. 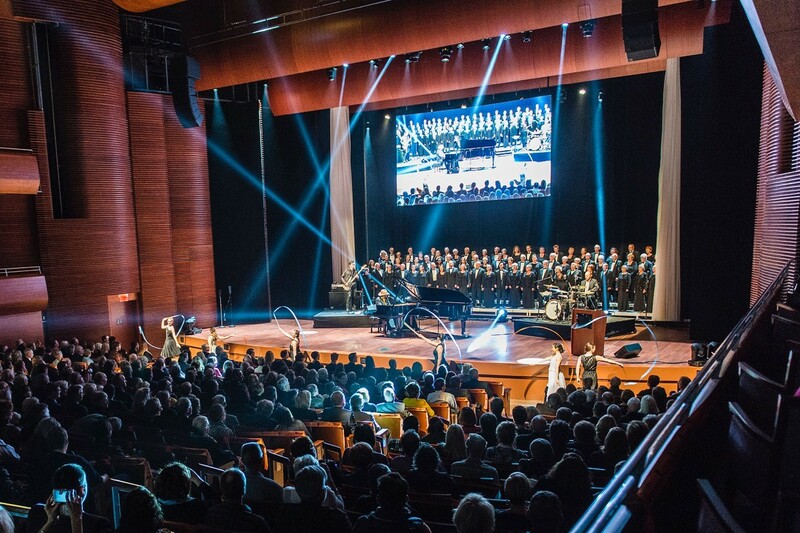 It hosts a variety of international and local performing artists, and comprises four separate venues: at concert hall, a recital hall, a dance/theatre venue, and a film house.